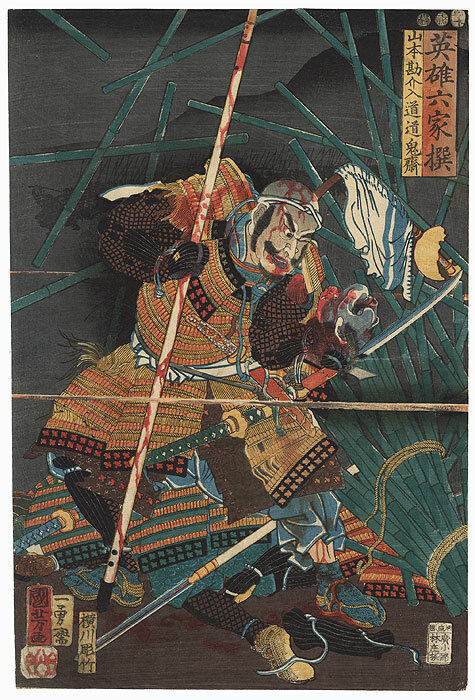 Yamamoto Kansuke Nyudo Dokisai - Fantastic depiction of the master swordsman and general Yamamoto Kansuke Nyudo Dokisai in battle. 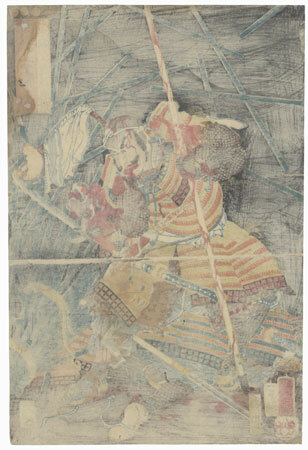 Mortally wounded and bleeding from injuries to his head, shoulders, and leg, Yamamoto holds the severed head of an enemy in one hand and his bloodstained spear in the other. His lips and tongue are beginning to turn blue, a sign of his impending death. 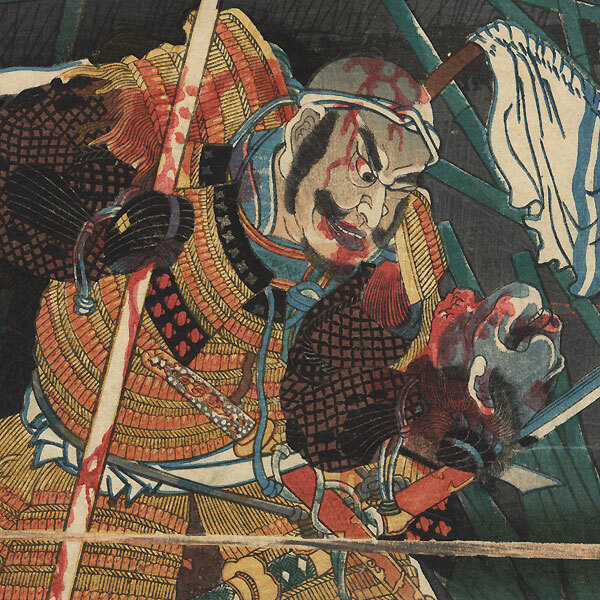 The enemy's body lies underfoot, and bamboo poles scatter across the scene, providing a dramatic setting for the portrait. Detailed with soft shading in the night sky and the silhouette of the mountain at right. An incredible if somewhat gruesome image of this fearless samurai leader. A great choice for a samurai enthusiast. Image Size - 14 1/2" x 9 3/4"
Condition - This print with excellent color and detail as shown. Stitching holes at side, small wormhole, repaired. Slight toning, slight soiling and a few light creases at edges. Please see photos for details. Good overall.